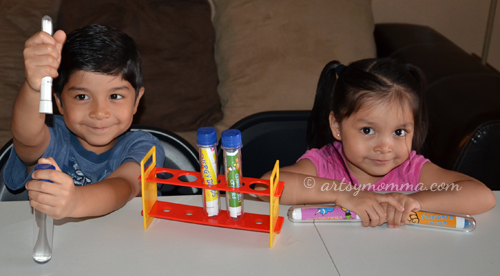 My kids love seeing how things work and have enjoyed doing science experiments together. Last summer, Big Brother attended a science camp which he had so much fun in. 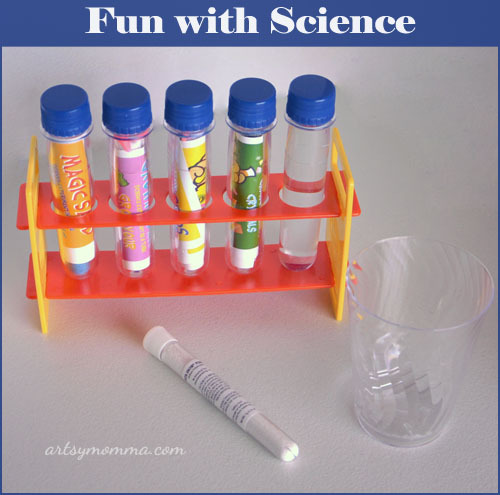 When I saw this Lab-in-a-Bag Test Tube Wonders (affiliate link) while browsing Amazon, I thought it would make a great way to beat the heat as a fun summer activity and it also doubled as a kindergarten graduation gift. 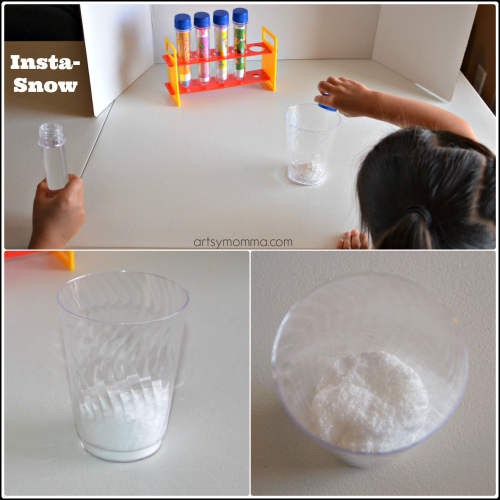 Big Brother chose the 1st test tube experiment …… Insta-snow! This was such a ‘cool’ activity for both the kids. There was enough for 2 batches using the measurements suggested so they each got to have a turn making snow. When they poured water on top of the powder, it instantly puffed creating a snow-like substance. It felt soft and silky. 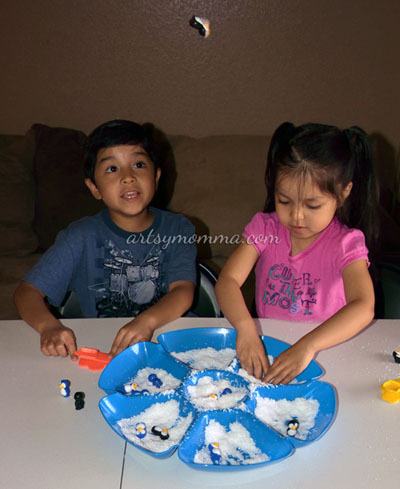 We placed the snow in a dish I had purchased from Dollar Tree and brought out mini penguins from my son’s Penguin Flip game. He had a blast flipping them into the snow while she giggled thinking it was funny to bury the penguins. They both loved ‘making it snow’ and running their fingers through it. It also suggested placing it in the freezer for a few hours to make it cold. It really felt and looked like real snow when we took it out! We can’t wait to do the rest of the experiments along with the numerous other ways they suggest using the test tubes. 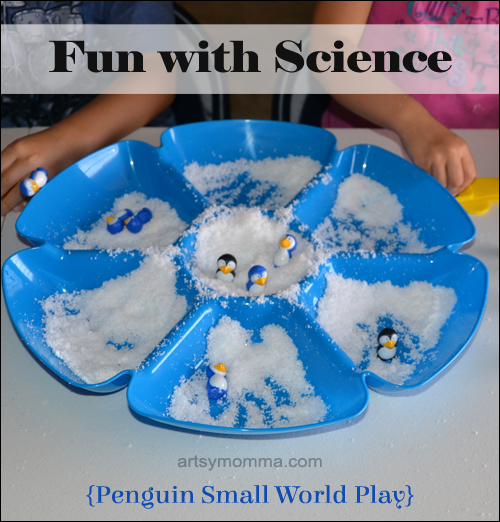 I think it’s great that the Insta-Snow was an enjoyable learning activity as well as a creative/imaginative play activity. For more science fun, stop by our Cool Science Experiments board on Pinterest. 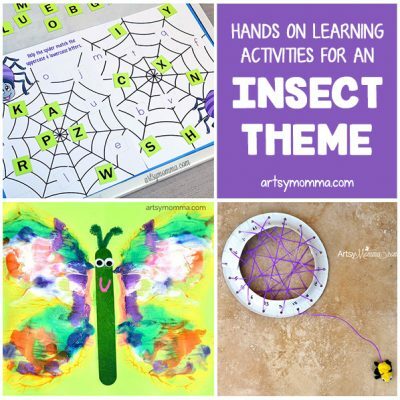 Follow Amanda @artsy_momma’s board Cool Science Experiments on Pinterest. What fun! I really love that test tube concept! 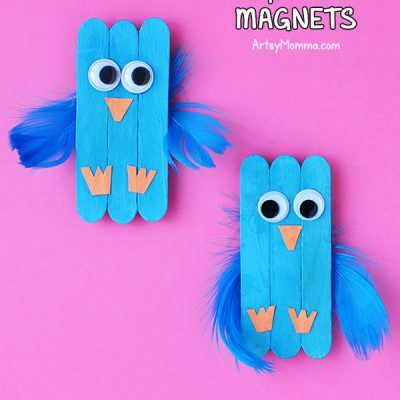 what a fun concept – makes me wish my children were little again! This look so COOL! Should give it a try (I never made insta snow) as this set looks adorable. We can’t wait to do the other test tubes! Insta-Snow is so much fun! We love using Insta-Snow in our homeschool too! What a fun way to learn science!